Of all the video games chosen to be represented for this article about gaming RAM, guess which one was chosen?! That's right, one of the best gaming franchises ever made... TrackMania! This mega-awesome screenshot of TrackMania 2: Canyon was a fantastic choice for the Intel site; and one I use as a desktop wallpaper. I really wish this game was more marketed in North America. It is so awesome and many North Americans still don't know about it. Yes, it's on Steam, but it's rarely highlighted except for once or twice a year when it's on sale on Steam. Unfortunately it usually goes on sale when more well-known titles are also on sale. We had one time when a surge of 10,000 new North American players came to TrackMania 2: Stadium when it was on sale for $1.99. I hope we'll see more of that so we can get more North American TrackManiacs! Anyway, back to the XMP story... I run TrackMania on a machine with XMP RAM and it runs as fast as I drive in TrackMania. If you're using XMP RAM in an Intel motherboard, make sure to set the XMP profile in your motherboard's BIOS so you can take advantage of this great technology. 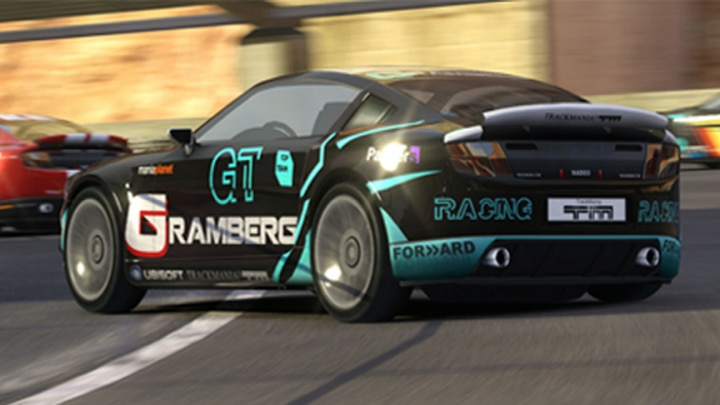 Then get into some TrackMania and come race with the Friday Night Gamers!